If you are fan of pirate themed movies and games, then this is the video slot machine for you. It takes you on a wild and a dangerous journey with these pirates who roam the waters to steal and plunder any ships that comes in their way. The game creates the pirate world by the amazing visuals and the vivid audio effects that accompany the game. Players will be able to grab their own share of the riches and the treasures by spinning the reels and achieving winning combos or through the hefty pack of bonus and special rounds that the game has to offer. 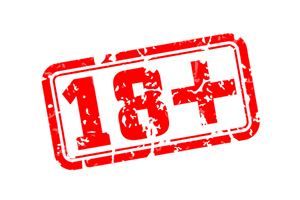 The format resembles the traditional format of most Sheriff Gaming slots as it comes with 3 rows of symbols, 5 spinning reels and a total of 30 lines for players. The symbols that appear scattered on this video slot include pirates, ships, treasures, gold, the sea, maps, weapons, knives, a henchman and a secret island. The theme does not only affect the symbols as it also dominates the interface itself. This is because players will see that the reels are located on a ship with the pirate on the left side and the parrot on the right side. Even the buttons of the control panel of the game come in the form of wooden barrels. The Parrot is the wild icon of this video 3D animated slot. It will not only replace other non-bonus symbols because it is an Expanding Wild Reel symbol. So when this symbol lands anywhere on the 3rd reel, it will transform the entire reel wild which will help players create many winning combos. The Treasure filled box is the Click me bonus symbol. Three of these boxes anywhere on the reels will trigger a special Click me bonus in which players will click on different icons in order to claim the handsome reward that lies underneath each symbol. 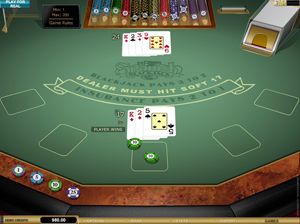 After players earn any winnings on this game, they will have the chance to double them by choosing to gamble with them in the Double Up gamble round. Players will simply click on Double up after the spin is over. They can keep doubling up as soon as they make the right guess but if they lose one round, they will lose all of the winnings.